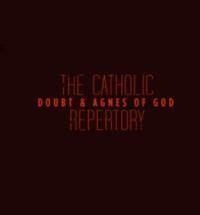 American Theater Company announces two American classics never-before-paired on a single night– The Catholic Repertory: Doubt & Agnes of God – directed by ATC Artistic Director PJ Paparelli and featuring Ensemble MemberSadieh Rifai, Lance Baker, Penelope Walker and Kate Skinner. The productions, which will be performed together nightly Thursday through Sunday, will run starting September 27 and must close November 4, 2012 at American Theater Company, 1909 W. Byron St.
American Theater Company continues its tradition of repertory productions with a unique pairing of two Pulitzer Prize and Tony Award winning classics that test the power of faith: John Patrick Shanley’s Doubt and John Pielmeier’s Agnes of God. Three actresses tackle both plays in an explosive evening of unforgettable drama, performed together for the first time. The Bronx. 1964. A Catholic school principal takes matters into her own hands when she suspects the beloved parish priest is guilty of improper conduct with a male student. Upstate New York. 1984. A court-ordered psychiatrist battles with a Mother Superior when she attempts to discover the truth concerning a young novitiate who is accused of an unimaginable crime. The Catholic Repertory features Kate Skinner (Sister Aloysius/Mother Miriam Ruth); ATC Ensemble Member Sadieh Rifai(Sister James/Sister Agnes); Penelope Walker (Mrs. Muller/Doctor Livingstone); and Lance Baker as Father Flynn. The creative team for The Catholic Repertory includes Scott Davis (Scenic Designer), Jesse Klug (Lighting Designer), Sally Dolembo (Costume Designer), and Andre Pluess (Sound Designer). Ashley Nguyen is the Properties Master and Katie Klemme is the Stage Manager. John Patrick Shanley is from The Bronx. His plays include Danny and the Deep Blue Sea, Savage in Limbo, The Dreamer Examines His Pillow, Italian American Reconciliation, Four Dogs and a Bone, Beggars in the House of Plenty, Psychopathia Sexualis, Cellini, Where’s My Money?, Dirty Story, Doubt, Sailor’s Song (Drama Desk Award Outstanding New Play),Defiance, Romantic Poetry (co-written with Henry Krieger), Pirate, and Storefront Church. In the arena of screenwriting, he has eight movies to his credit, most recently Live From Baghdad for HBO, for which he received an Emmy nomination. Other films include Five Corners (Special Jury Prize, Barcelona Film Festival), The Waltz of the Tulips, Doubt, Alive, and Joe Versus the Volcano, which he also directed. For his script of Moonstruck he received both the Writers Guild of America Award and an Academy Award for best original screenplay. John Pielmeier began his career as an actor, working at Actors Theatre of Louisville, the Guthrie Theater, Milwaukee Rep, Alaska Rep, Baltimore’s Center Stage, and the Eugene O’Neill National Playwrights’ Conference. It was at the O’Neill that his play Agnes of God was first staged. A co-winner of the Great American Play contest, Agnes premiered professionally at Actors Theatre of Louisville, which production was followed by several regional productions and a seventeen-month run on Broadway. His other plays include Voices in the Dark (winner of the 1999 Edgar Award for Best Play); Haunted Lives; Courage;The Boys of Winter; Sleight of Hand; Impassioned Embraces; Steeplechase The Funny Place, a musical (with music and lyrics by Matty Selman); Young Rube, a musical (also with Mr. Selman); Willi,; The Classics Professor; and Slow Dance With A Hot Pickup, a musical with Mr. Selman (winner of four New Hampshire Theatre Awards, including Best Production of a Musical and Best New Play). He has been a writer-in-residence at the MacDowell Colony, Yaddo, Ossabaw Island, The Gathering at Bigfork, and the New Harmony Project, and has received alumni awards from both his Alma Maters. In 2003 he was inducted into the Blair County, Pennsylvania Arts Hall of Fame. His latest play, Madonna and Child, was read at the 2007 New Harmony Conference, where he was in residence. He served as the Keynote Speaker for the Harriet Lake Festival of New Plays in Orlando, Florida in February 2008. Lance Baker (Father Flynn) has appeared in Court Theatre’s The Invisible Man, Thyestes, Travesties, The Importance of Being Earnest, Who’s Afraid of Virginia Woolf?, Guys and Dolls, Cymbeline, Pericles, Hamlet, Twelfth Night, Piano, and The Invention of Love. He recently received a Jeff nomination for his performance as Charlie in Speed-The-Plow at American Theater Company. Other recent credits include Becky Shaw at A Red Orchid Theatre (where he is an ensemble member), Lookingglass Theatre Company’s production of Around the World in 80 Days at Kansas City Repertory Theatre, Amadeus at Chicago Shakespeare Theater, and Mauritius at Northlight Theatre. Film credits include Unsettled, Public Enemies, The Express, and Road to Perdition. Sadieh Rifai (Sister James/Sister Agnes) has been an ensemble member at American Theater Company since 2008 and has appeared at ATC in The Amish Project, The Original Grease, Welcome to Arroyo’s, Hedwig and the Angry Inch, Distracted and Speech and Debate for which she won an After Dark Award for outstanding performance. Sadieh was most recently seen in The Piano Teacher at Next theatre. Other Chicago credits include understudying the role of Johnna Monevata in August: Osage County (Steppenwolf Theatre), Ski Dubai (Steppenwolf Theatre First Look), and Merchant on Venice (Silk Road Theatre). Sadieh is a graduate of The School at Steppenwolf. She is very proud to be a part of the film The Wise Kids being released this fall and the new mockumentary comedy series Bad Sides www.badsides.com. Kate Skinner (Sister Aloysius/Mother Miriam Ruth) has starred on Broadway in The Graduate and Uncle Vanya with Tom Courtenay. Off-Broadway credits include Honey Brown Eyes, The Mapmaker’s Sorrow, Ashes to Ashes, and Marvin’s Room. Skinner was also in the national tours for Lend Me a Tenor and The Graduate. Regionally she has played leading roles at theatres across the country for three decades, most recently, The Alchemist (Shakespeare Theatre), Noises Off (Denver Center Theatre), Uncle Vanya (Bard SummerScape), Rabbit Hole (Cleveland Playhouse) and Who’s Afraid Of Virginia Woolf? (Shakespeare Santa Cruz/Syracuse Stage). Her TV & film credits include Unforgettable, “Blue Bloods,” all versions of “Law & Order” numerous times, several soap operas, Mona Lisa Smile, The Rage: Carrie II and most recently, Kiddie Ride (opposite James Gandolfini). She was born on the South Side of Chicago and is married to the author/actor, Ron McLarty. Penelope Walker (Mrs. Muller/Doctor Livingstone) has appeared at the Goodman Theatre in A Christmas Carol, The Story,Crowns, and Wit. Additional Chicago credits include The People’s Temple at American Theater Company; Laura Jacqmin’s 10 Virgins and Lydia R. Diamond’s world-premiere production of Voyeurs de Venus (Black Theatre Alliance Award nomination) at Chicago Dramatists; Eclipsed, Gee’s Bend and Bee-luther-hatchee (Black Theatre Alliance Award nomination) at Northlight Theatre; J. Nicole Brooks’ world-premiere production of Black Diamond: The Years the Locusts Have Eaten at Lookingglass Theatre Company; Don DeLillo’s Love Lies Bleeding at Steppenwolf Theatre Company and The Kennedy Center; Omnium Gatherum (After Dark Award) at Next Theatre Company; Chris-T with Ma’at Production Association of Afrikan Centered Theatre; The Clink at Rivendell Theatre Ensemble and Shakin’ the Mess Outta Misery (Black Theatre Alliance Award nomination) at Chicago Theatre Company. Ms. Walker appeared in the 2003 year-long regional tour of Regina Taylor’s Crowns. Her regional theater credits include work with the Alliance Theatre, Arena Stage, Hartford Stage and the Alley Theatre. 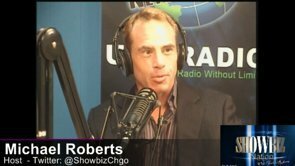 Film and television credits include Severed Ties, Something Better Somewhere Else and Boss. Featuring: Kate Skinner (Sister Aloysius/Mother Miriam Ruth); ATC Ensemble Member Sadieh Rifai (Sister James/Sister Agnes); Penelope Walker (Mrs. Muller/Doctor Livingstone); and Lance Baker as Father Flynn. Regular run: Wed., Thurs. & Sat./Sun. matinees $38; Fri. & Sat. evenings $43. Shows are ticketed separately. Special offer: Purchase tickets by October 1 for one show at full price and get the second show half-off. · ATC’s 2012-13 Season marks PJ Paparelli’s 5th Anniversary as Artistic Director. Paparelli kicks off the season by helming The Catholic Repertory, which pairs two never-before-seen-together plays. Doubt and Agnes of God mark the Company’s third repertory production; previous repertories were True West/Topdog and Speed-the-Plow/Oleanna. · In 2005, Doubt won the Pulitzer Prize in Drama, the Tony Award for Best Play, the Drama Desk award for Best New Play, the Lucille Lortel Award for Outstanding Play, and the New York Drama Critics’ Circle Award for Best Play. · John Pielmeier returns to Broadway with his new adaptation of William Peter Blatty’s 1971 novel The Exorcist,which played at the Geffen Playhouse in Los Angeles through August 12, 2012. · The title Agnes of God is a pun on the Latin phrase “Agnus Dei” (Lamb of God).